This article explains what’re the method of Air Freight and Courier to import goods from countries around the world (such as China, Taiwan and the United States) within the European Union by the airport of Spain. 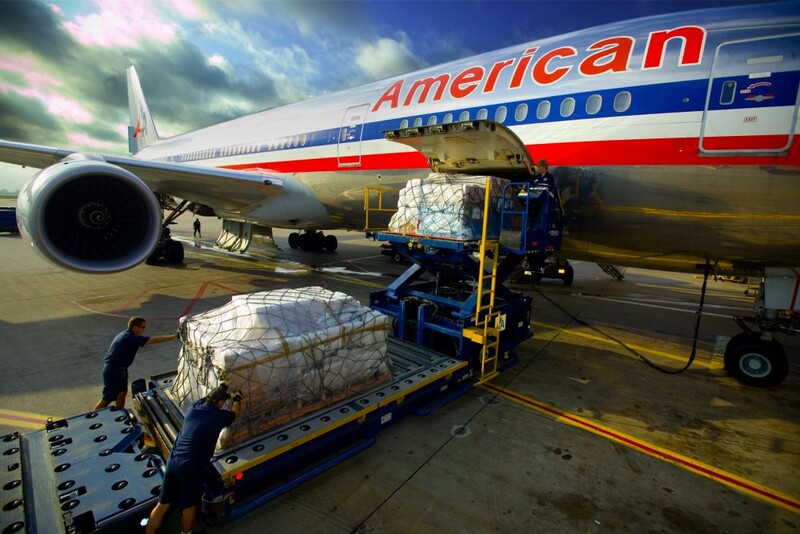 The method of Air Freight is one of the most popular methods of import of goods from countries outside the European Union within the Community. New importers in this field often do not understand the difference between “Courier” and “Air Freight“. In this post we look over those concerns and explain why it is a good idea to send your goods by air rather than sea. Key issues you could avoid sending cargo by air and some strategies to reduce costs by using courier or air-freight. Before getting into the more complication of choosing between air and sea, or between messaging and cargo: It is important, we look at the difference between the “Courier Service” and “Air Freight“. How do they differ from each another? Courier, also known as “express” is basically a “door to door” where the courier company send their goods from point A (normally suppliers or consolidators from the address of the origin country) to point B (The address of the destination country). They manage all the necessary processes to successfully deliver goods from A to B, ie, pickup and delivery, customs procedures at origin and destination, payment of taxes and duties (They will bill these charges apart from the shipping price itself), etc. Popular Courier companies are: DHL, FedEx, UPS and TNT. On the other hand, the Air Freight service is from “airport to airport” unlike the courier service is “door to door”. This means that the carrier is responsible for the goods after they have been cleared customs duties at the airport of origin and the deliver those goods to the destination airport. A ‘forwarding‘ agent is required to clear the goods at the office of destination and takes good to the delivery address. Let use an example to understand better. Suppose you want to buy a particular commodity in China and sent to Spain for sale. If we select Courier service, the goods will pick by the carrier in China, would be responsible for clearing the goods from the Chinese Customs and all customs formalities at the port of EU. Finally, the use of the courier service is from input point sends the goods to the destination in Spain. If we go for Air Freight, the goods will collect by the carrier at the airport in China till the EU airport, this will end up his role. Here where “Forwarder” takes place his role, who will take care of customs clearance and send the goods from the destiny port to the destination address (final destination). Many large courier companies such as DHL and FedEx, as well as passenger airlines provide “Air Freight” services. Most passenger airlines have space to accommodate commercial cargo and this explains roughly 10% of their income. When it could be better option to send goods by Air? – To send goods samples. – Low volume products (not too heavy), for example, tablets, watches, phones, importing clothes etc. – When goods are sensitive with the passage of time, perishables or urgently needed (air shipping usually takes less period than sea). So the most frequent question arises here is, what volume of merchandise is better to ship by sea rather than by air? This depends on a number of factors such as the rate of “Air Freight” for the week (the rate changes every week) and the actual weight of the goods. However, once the mark of 1 CBM crosses you can start seeing LCL sea shipping as a viable option. We often meet importers, including experienced importers that are usually confuse about how to calculate the costs of Courier service and Air Freight. When Forwarder use kilograms base, usually refers to the cost per kg of “chargeable weight“. The “chargeable weight” refers to the higher value of two, the actual weight of the goods or its volumetric weight. Volumetric weight (also known as “dimensional weight“) is calculate by multiplying the dimensions of the packaging of the goods (for example, the dimensions of the box) and dividing by the “size factor“. At this point there is a great confusion, as importers often ask the weight of the goods to the supplier and on the base on that weight make the price calculation, So it’ll be the big surprise that actually shipping was more expensive, as the importer, he is charging the price on the highest of the above mention two weight. The Forwarder will charge on the volumetric weight, which is not the actual weight of the goods. Further more, the formula for calculating the volumetric weight for shipments “Courier” is different from “Air Freight“, as the “dimensional factor” for the Courier usuario this factor is 5000, whereas for the Air Freight is higher and its 6000 or more. This is where most of the importers can fail even the experienced importers when trying to decide between Courier and Air Freight as they use the same weight to compare the two options. Here you can clearly see that the dimensional weight exceeds the actual weight, so the Courier / Forwarder invoice is base on that rather than the actual weight. In this case, would more economical to ship by Air Freight rather than Courier, but there are more factors to consider, such as additional charges for customs processing. Important concern: The current courier companies use advanced laser scanning machines to calculate the volume of the boxes. This means that even a small bump in cartons can lead to a significant difference in volume. We must ensure that the packaging will in optimal conditions to ensure, it will not increase our cost. Also, if the boxes have some sort of lump, depending on the nature of the products and packaging, you can also jeopardize the safety of goods in transit and therefore, this should be one of the points in your list of Control quality for pre-shipment inspection of goods. Courier vs. Air Freight – Which could be best option to choose? So, how do you decide between Courier and Air Freight? As with marine cargo, there is a fixed cost of processing at each customs fees carrier, and domestic road transport, hence the use of messaging is usually recommended when it comes to smaller packages and samples . – Freight / National transport from the factory to the airport. – Customs clearance and costs forwarder in China and in Spain. – Freight / Airport Spain entrance to the final destination domestic transport. In the above scenario, Courier is clearly the best option. In addition, another important consideration is that the Courier is almost always the fastest option unless you have chosen one of those super slow courier services that tend to be cheaper and the package is on the world tour for 7-10 days before arrival to your destination. Therefore, the key question is, At what point the Air Freight is cheaper than the Courier? From our experience of sending more than 1000 shipments from Courier service and Air Freight from third countries to the EU in recent years, it seems that in most cases, around 400-500Kg dutiable weights. The “total cost” the Air Freight is becoming cheaper than using Courier. For weight below the mark 500Kg, use Courier is also simpler than the Air Freight option, plus you will not have to worry about any procedure, which means you can use that time to focus on other matters of your business. When sending goods by air, it is very important to follow strict guidelines in terms of packaging and also inform the provider about such guidelines to be met when we made a shipment, to prevent damage of the goods. Care should be taken as how the packaging should be use to protect the product and the quality of the cardboard boxes. We get inform by many cases where goods were in perfect condition when they left the factory and came with a thousand of damages to the warehouse of the importer. Damaged goods: Why is this happening? Courier companies handle thousands of deliveries every day, and especially when a product comes from a far country usually passing from or staying at different destination. Not all packages carefully treat, although posted by the big stickers ‘Handle with care‘. Cases included: they throw packages or may be stacked putting heavier packages above the packages or often shuffled during the journey, carriers may be fall down boxes while lifting up or getting out of transport and even we have got cases. Many boxes have trampled. In packaging, especially cardboard quality used is one area where suppliers try to cut down to his reduce costs. Therefore, we must be vigilant and demand quality and packing according to the goods we will send our supplier. For some reason I’m still trying to understand, in the supplier’s factories and very specifically in China, often miscalculate the correct volume and weight of the goods, especially before they have produced the goods. This is a constant subject of struggle for us, especially when working with new factories. You might think that a factory produces a standard product and delivers frequently. Perfectly dominates the calculation of volumetric weight, but often there is a difference in the “volumetric weight” information from the factory to the customer and the measurement of the courier company. This usually leads to an expensive surprise when the importer receives the bill for the Courier Company or forwarder. To obtain an estimate of B2B websites, Supplier often quote the FOB value. However, importers often end up receiving their merchandise by Courier or collecting goods from several importers and receiving all of them from one platform. This means that, normally, suppliers include in base of Exwork the rate of customs charges, but now it is no longer necessary to do this. Many importers in these cases end up overpaying for logistics. For all this, it is important to search and decide the logistics plan before. If you’re thinking about consolidating the goods or use a courier service, it is best to use a quote of EXM rather than FOB. There is always a small risk of theft by choosing Air Courier as the goods pass through several hands. This is something that applies to LCL ships. Our experience over the years has been that this risk is quite small in China for example, and we see more cases of robbery in the “developing countries” in the destination port, unlike developed countries. Many importers ask us transport cost (rates) for a shipping that will be effective in future. We have to make it clear, in such cases; the rate is only valid for the current week. This is because the rates are updated weekly, mainly due to “Fuel” that is linked to oil prices. Therefore, you should always get a new rate for the shipment once their products are ready to be sent and along this should to reconfirm the volume of goods. This will also help you avoid surprises cost and can often be good news if rates decline in that period. Sometimes making small changes in products and packaging can significantly reduce transportation costs. Leave empty space in cardboard boxes (or containers) it is almost a crime when it treats as international trade. Leave space in LCL shipments may not pose a big impact on the margin, but shipments Courier air; this can get to eat your margin. To avoid this, you should make sure to give specific instructions for packaging to your suppliers and make sure no space will be wasted. Aside from the benefits in terms of cost to do this, this also helps minimize damage during transport as cardboard boxes with space are often damaged because they usually put heavy boxes on them during the transit to the warehouse. The design of the product packing is also very important. Some big brands such as Apple, usually design packing for their products larger than the product itself, with the free space inside, with an attractive and creative design. However, more the packaging is heavier than more the space will be use and the higher the logistic costs, so it is important that the product packaging is as tight as possible so that the cost of transporting will not absorb your profit margin. The above concept can also be applied to product design, although this might not always be feasible for smaller importers. Be creative with things like the type of charger used or the size of an accessory, all these can help to reduce the size of the package, which will result in greater savings in logistics costs. When using messaging services there are plenty of services that many importers are not aware of that can help reduce costs significantly. We are not referring to the choice of transport companies, as each one has their prices, services and different routes. Courier companies offer big discounts with large volumes (Economic of scale), therefore, it can be more expensive to go directly to the carrier. We Spainbox for example, to have agreements with different transport companies with different services, pricing and routes, we can offer a more personalized and economical service with various value added services: such as the fastest delivery and more economic price. Price fixing in the transportation industry is often on the base of the price band. This mean, if you have provided a estimated price for a shipment of 200 kg of 5 € / kg and are about to make 4 shipments per month, if you could make only one shipment per month of 800 kg you would have access to a lower price. You will find that this subject repeats everywhere when it’s international trade, recommend, try to increase the volume to reduce your “per unit cost“. Choosing the right shuttle in the right situation is not easy and has details that sometimes even the most experienced importers know or have in mind. Therefore, keep in mind that, when in doubt, it is best to consult the professionals like us who can advise you better and with greater depth about your particular case regards different products and shipments, which require different solutions. In short, keep in mind, make small changes to the product and packaging, pre-planning and understanding the numbers and calculations can obtain significant savings in logistics costs, which ultimately will increase your margins. Of course, if you have any questions concerning the international carriage or you want to consult us about your particular case, don’t hesitate to contact us, we always there for you. This article has been wrote specially for Non EU companies interested to import in Spain or Europe. Amazon, Ebay, Etsy sellers or project initiators at Kickstarter, Indiegogo, etc. aiming to sell to EU individuals you may be aware of the following points. 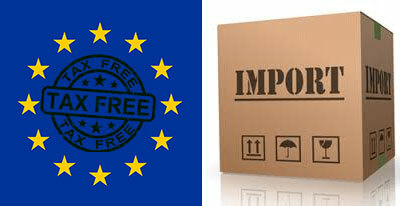 Import : introducing goods to EU territory means you will be importer. 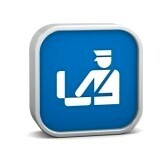 As an importer you must be, prior to your first import, identified for customs purpose and been given an EORI ID. Such EORI is valid in all the other Member states (states of the EU). 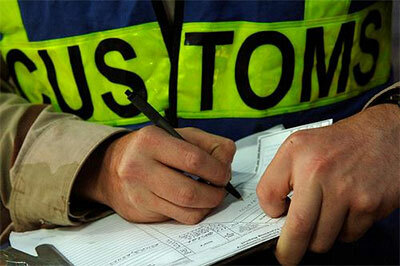 Customs duties are exactly the same in all EU Member states, the rate is directly linked to the CN code / Customs Tarif. EU Member states have specific VAT rates and tax triggers to appeal importers, each country can fill the gap given by EU directive with specific rules to smooth VAT on import, such as VAT deferment, ET14.000, art.23, Ai2, VAT due date shifting, etc. If your goods are traveling by plane and make a stop in a Member state which is not he EU state of destination, you should ask us to arrange with your courier the “release for free circulation” allowing importers not to pay the import VAT, whenever you are able to submit the proof of delivery. If you want to import in Spain and have an EORI that you got in other country by example UK, you will need to get associated your Spanish EORI with the UK EORI. Balance : as non resident retailer you have the Right to deduce your import VAT from your collected VAT, reducing the VAT you have for repayment. This will appear on your VAT return. 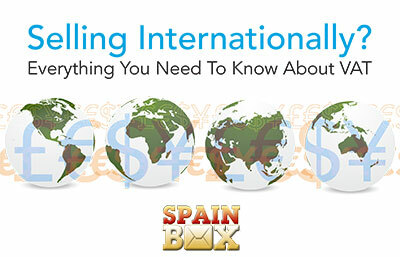 Depending on the country you are selling to and the amounts, your return can be required monthly to yearly. Power of Attorney (a)(b): a template will be provided so you can complete it and sign it in front of a Notary. 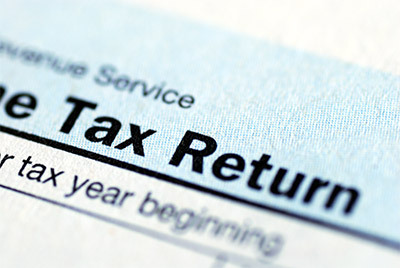 3- Do you need to apply for VAT returns? Please note that depending on your activities in Spain you will be given Rights and Duties. 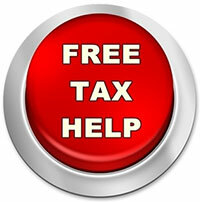 You will have the Right to deduct your purchases / import VAT, or claim yearly the VAT refund. On the other hand you will be required to submit your returns quarterly. 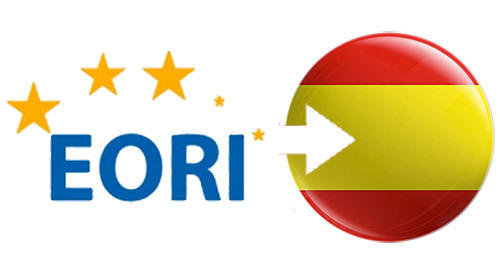 EORI : you can either get your EORI number (you will be given only one EORI in the first EU country in wich you need to import/export, it will be used in all other EU countries), or connect your spanish NIF to your existing EU EORI. Over 6.010.121 Euros turnover/year should be submitted monthly. Possibility to require a monthly return upon acceptance by Tax Admin. If you move goods between Spain and other countries in the European Union monthly. If you want to import in UK you will need an EORI associated for every different country in Europe. Amazon Europe charge 4% when they transfer your USA or international account, in Spain is easy too to open a bank account for non-resident business. Our fees to open a bank account in Bankinter is 50 Euros one time fee. You dont need to come to Spain to open a bank account with the help of Spainbox. EIN (Employer Identification Number) or VAT number of the society, if it is in constitutions we will need the constitution deed from the solicitor. Articles of association / memorandum of association / Writings of society photocopies. Powers of attorney of managing dIrector (or administrators) from the legal register. Passport or Social manager’s I.D. number. In case they have just a bankinter bank account. When we will receive this docs we will send you forms that you will need to fill up, when we receive forms filled and signed originals by courier and after 20 – 30 days you will receive by mail your bank account with your credentials to do online banking. To receive Bank transfers from Amazon or European banks will be free upto 50.000 euros, for more than 50.000 euros it will be 0.4% with a minimum of 30 euros. To send overseas bank transfers fees outside Europe it will have a bank transfer fee of 0.6% with a minimum of 32 euros, to send bank transfer in Europe its free. If you want to test your product sales in Amazon or Ebay Europe and dont want to do all this paperwork, Spainbox can provide an EORI and import your shipments in Spain on your behalf with an small transaction fee. Overseas company will send to shipment to Spain using DDP (Duty Delivery Paid) by UPS, Fedex, TNT or DHL. Spainbox will import merchandise in Spain using Spainbox EORI. Spainbox will sell merchandise through a ranked seller account at Amazon, Ebay in UK, Germany, Spain or any customer in Europe, Spainbox can fulfill orders directly from Spainbox warehouse receiving by csv or a webservice orders from customers. Spainbox will send profits to Overseas company with a discounted sale processing fee, according to the volume of sales. Please send us your specific needs to get an accurate statement of your Right and Duties and our corresponding fees. With the growth of the global e-commerce scenery and a shift in shopping habits, an increasing number of retailers of most sizes are discovering that expanding internationally is an exciting and natural probability. International expansion poses many opportunities, including a vast number of new customers, the chance to overcome seasonality and a potential niche in an undeserved market. Despite this evolution, online retailers can be daunted by the perceived difficulties of expanding overseas, including getting to grips with different taxation plans, which vary widely by region. However, it’s very important to suppliers to embrace the potential customers awaiting their businesses overseas and not shy apart from the opportunity. If intercontinental expansion is on your own radar, or you’re currently advertising across borders, you need to be certain you are alert to the tax requirements you should follow. We’ve collaborated with Accordance VAT, an international VAT consultancy and VAT compliance business, to compile this functional guide for retailers that are selling things across borders. When advertising internationally, many suppliers leverage the managed inventory service offered by eBay and Amazon. Programmes such as Fulfillment by Amazon or eBay’s Global Shipping Program can be very ideal for businesses with little if any logistics working experience in the EU, and in addition help with tasks such as returns or customer support. For retailers, you should understand how the application of these platforms and inventory services make a difference the VAT reporting requirements of their business. Make sure that you be capable of obtain the info you will need from your supplier so that it can be accurately reported to the tax authorities. This data should be reportable by nation and by the sort of customer. A standard error is for businesses to just declare VAT on the amount of money remitted from the program provider after it has had its commission, instead of declaring VAT on the entire selling price to the customer. Keep in mind that any revenue received on delivery costs likewise counts as taxable revenue for a small business; so be sure you possess these figures accessible to you. Managed inventory services may involve the provider having control above where the stock is situated. Often, a seller’s stock can be shifted closer to market where sales have been successful, which can involve moving goods in one EU country to another. For VAT purposes that is substantial, as these movements should be reported correctly in addition. It is vital for your company to fully understand the purchase chain so that you can successfully get compliant with VAT specifications. Most goods inside of the EU are at the mercy of the standard rate of VAT inside of the applicable country. Nevertheless, the EU allows some items to be purchased at a reduced or perhaps a zero-rate of VAT. These items are often non-luxury or essential products, but the rules and prices vary by region. In the Spain, for example, children’s clothing and literature may be at the mercy of a zero-fee of VAT. However, if a business sold exactly the same items in Bulgaria, the fee applicable will be 20% on both items. It is important that companies are fully alert to the VAT rate applicable to their goods as in the EU the product sales price is usually shown as a gross, tax-inclusive figure. If you don’t consider the VAT differences between nations around the world, it can have a dramatic impact on your margins. Offered the above exemplary case of selling a book in the Spain or in Bulgaria, a small business must increase its selling price by 20% to guarantee the similar margin is obtained in Bulgaria. Similarly, a business may also reap the benefits of selling goods in other countries where the VAT prices will be lower, and the margin made can be higher. Therefore you should consider the pricing implications that arise due to VAT. Some businesses opt to employ a differential pricing type to take into consideration the differing VAT rates across the EU, while others decide to use a composite VAT amount where they make a loss in a few countries and gains in others, consequently balancing out the gains made. Getting advice in what is best for the business can make sure that you succeed in new market segments, and remain cut-throat while keeping your profit margin. Distance Selling occurs when goods located in one EU nation are sold and delivered to an exclusive individual or non-business customer in another EU nation. 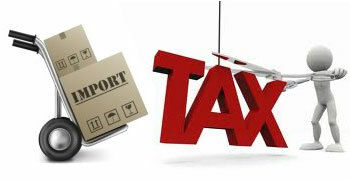 When sales begin, VAT is applicable in the nation where the goods are located or shipped from. However, EU locations have Distance Selling thresholds which when exceeded, require owner to register and account for VAT for the reason that other EU region. The Distance Advertising thresholds vary by region but range between EUR 35,000 to EUR 100,000 and can be in local currency. In case an organization breaches these local nation thresholds in a calendar year, it will have an obligation to register for VAT as a nonresident trader in that country. It will then be required to charge local VAT on the products is sells and submit ongoing VAT Returns and potentially additional filings. VAT invoices may also be required based on the country in question. It is important if you distance offer to actively monitor your revenue to EU countries, due to there may be financial penalties where VAT registrations are late and VAT is not correctly accounted for. It is also worth noting that range selling only applies to product sales to EU countries rather than any countries located outside the EU. After a VAT returning has been filed, typically VAT is either payable to the pertinent tax authority, or, if considerably more VAT has been incurred by your business than collected, you will end up due a VAT refund. Diverse tax authorities refund VAT in different methods. With some it might be held as credit to offset against any potential VAT payments. With others (including the Netherlands) it should be paid to a bank account. In Spain a cheque is delivered in Euros directly to your company. Registering a non-EU-established organization in the EU to get VAT purposes should be done inside the name of a current director of the company. The reason being tax authorities throughout Europe monitor current directors of VAT registered businesses with a view to prevent fraud. To register your company you will be asked for several pieces of data concerning this director, for instance their house address and their taxes ID information for instance a National Insurance quantity/social security range, and additional information about other business ventures. When items are imported into the EU, either as share or as personal deliveries, import VAT must generally be paid out at the customs border. SDA, Single Administrative Document (DUA in spanish) which entitles it to recover or offset the VAT it again has paid against the VAT that it all collects on future sales. When non-EU businesses are considering importing goods in to the EU, it is advised to get a VAT registration in place to avoid problems with recovering Import VAT in the future. An additional tax identification number can be used for importing and exporting merchandise in the EU and this is named an Economic Operator Registration and Identification (EORI). In the UK, this can be requested as well as a VAT registration. It must be ensured that the import documentation provides the correct EORI variety as normally the VAT recovery process can be slowed significantly, or the claim could even be rejected by the tax authority. Please make sure that your shipping real estate agent is made aware of the correct VAT and EORI number when they come open to ensure timely healing of import VAT. When compiling and filing periodical VAT returns, it is essential to have a line-by-line breakdown of sales and purchases, usually in an Excel format. You will have to make sure that your sales are being made at the correct rate of VAT, converted into the neighborhood European currency using the official technique and described in the right filing period. Additionally, tax authorities throughout the EU will periodically open an audit into a particular VAT declaration (they are triggered both randomly and for good sized VAT rebates). In this eventuality the taxes authority would usually ask to see sales ledgers along with invoice samples along with other supporting documentation. Expanding internationally opens up new opportunities and consumer bases for sellers. Don’t be daunted by the VAT demands you will come across – by making yourself alert to the individual demands of each country, it is possible to expand cozy in the knowledge that you will be compliant. Take into account that every retailer’s tax situation depends on its individual investing activities – there’s no solution that’s relevant to everyone. That is why this content aims to get informative without having to be prescriptive. For a full assessment of one’s VAT situation, get in touch with Accordance VAT.